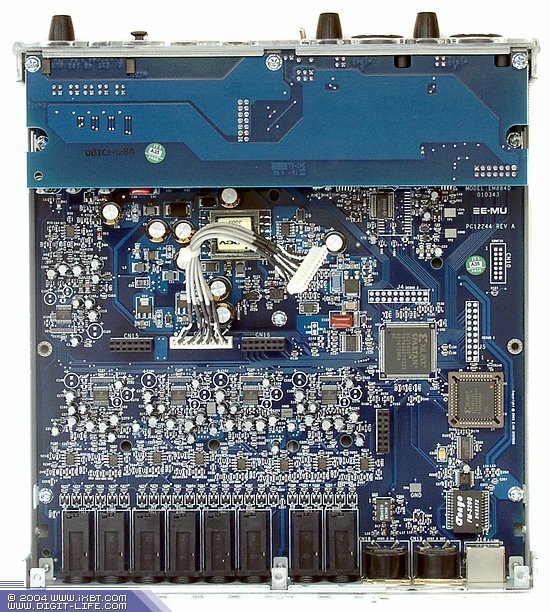 The new line of professional E-MU soundcards bears the mark of Creative Professional as it has been developed in cooperation of E-MU Systems and Creative Advanced Technology Center. The Digital Audio Systems family consists of three models: 1212M, 1820, and 1820M, the figures standing for the numbers of inputs/outputs. 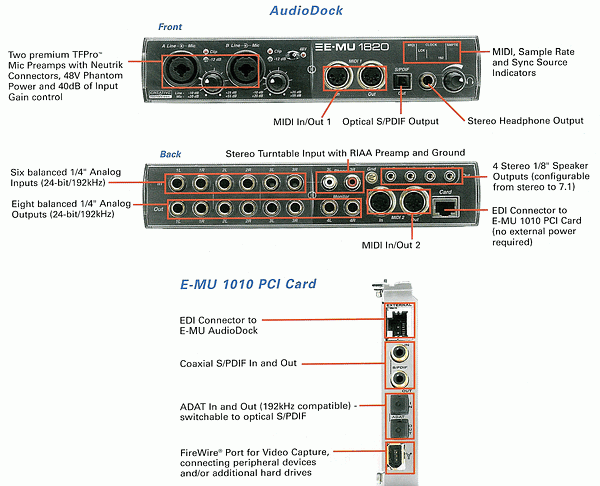 Each model is based on the same E-MU 1010 PCI soundcard that also houses the main DSP chip and digital interfaces. Unhabitually, the analog part is allocated on an additional board or in a half-rack-wide external module. M means that converters and operational amplifiers have been modified. Here is a table that contains brief characteristics of the models. 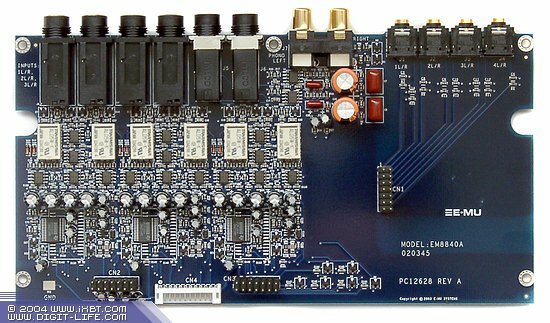 One can be shocked to learn that 1212M and 1820M use hi-quality converters and high passport parameters of inputs and outputs, that exceed even the measured characteristics of Lynx L22/Lynx Two soundcards. The models have the same ADCs as Lynx, but their DACs are newer (4398 vs 4396). Although certainly, much also depends on the quality of the quartz, operational amplifiers, and the layout. A few words about the prices now. The fact that LynxStudio products cost times more than others is caused by the company's orientation to a strictly professional market where quality is the main focus and where all the rivals, such as RME, Digidesign, etc., are strictly professional too. 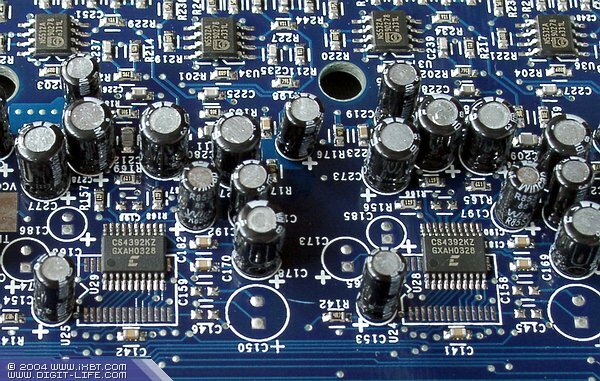 The moderate price for E-MU products results from the company's orientation to the mass user and E-MU is rivaled by such companies as M-Audio, ESI, and Terratec. But it's really puzzling why other competitors within this price category don't offer us converters of a similarly high quality. The only product I can remember in this respect is ESI Waveterminal 192X with an AKM AK5394 ADC. 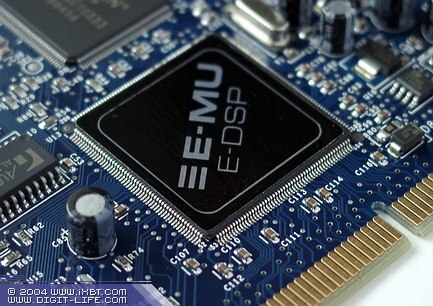 Another distinctive feature of the E-MU family is that they enable to use the hardware effect-processor of the main DSP, represented by an EMU10K processor under the name of E-DSP here. Judging by the Audigy sign painted over but still seen under the sticker, as well as by a separate IEEE1394 controller onboard, we can suppose that chips from the first-generation Audigy boards are used. The approach seems wise providing the company aimed at lowering the card's prime cost by means of saving on the development and production of a brand new DSP and spending on the converters instead. Besides, we shouldn't forget about a flexible DSP architecture that enables flow routing and setting various algorithms of sound processing, including strictly professional ones. To our infinite joy, the card (in contrast to Creative game ones) is equipped with two reference quartz oscillators, and the engineers also managed to supply the drivers with the option to specify the reference frequency of the CPU and the effect-processor at 44/48 kHz. While the effect-processor can only work at these two frequencies, programmers are now studying the possibility to introduce effects in high sampling modes. The effect-processor has precision of 32 bits and 67 bits for internal calculations (double precision and a 3-bit reserve for mixing). The current drivers have a small but rather unpleasant shortcoming: they support 96 and 192 kHz modes only under the ASIO interface. 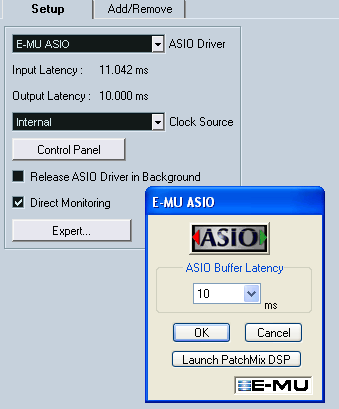 Those willing to play their 96/192 kHz files not only in professional applications can make use of ASIO plugins for WinAmp and Foobar. Creative programmers dislike the MME interface for an unclear latency time, an uncertain sampling frequency, and an obligatory SRC. That is why they made a simple decision not to support it, confining themselves only to the main formats of 44 and 48 kHz for compatibility. 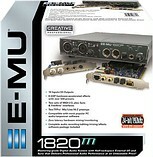 We received an E-MU 1820 modification through official channels for testing. It is probably suitable for the media but not very good in terms of recording and playback quality for this series of devices. The pictures show that 1820 and 1820M have the same board design, only the converter chips and operational amplifiers are different. The card's control panel offers very flexible possibilities to rout signals and apply effects. Probably, over 500 hardware effect presets should be considered as an additional bonus that results from using the DSP, as modern software effect plugins can have a higher quality. But a complete absence of time latency and CPU load may be quite useful in some cases. Test results reveal a correspondence with the announced characteristics. 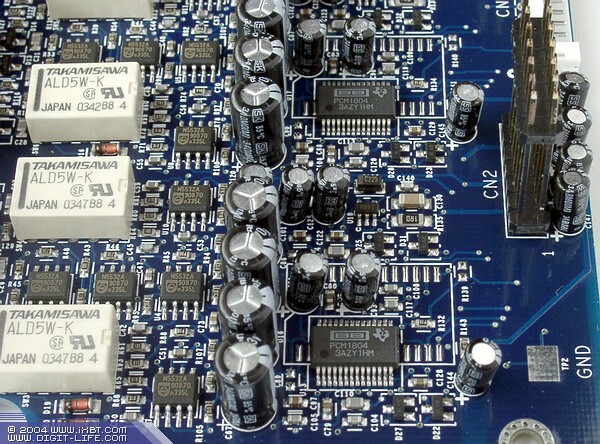 It is essential that 44 kHz of the analog and the digital outputs show no signs of rediscretisation into 48 kHz, which was the scariest rumour about Creative game soundcards, that could have repulsed many potential customers from E-MU cards. Also noteworthy is a full support of 24 bits under the MME interface. There is a slight fall in frequency response at high frequencies but other than that, everything is perfect. As we can see, the results in Noise level and Dynamic range have just a 1.3-1.5dB difference (1 percent). We deem our precision quite appropriate considering that the use of professional equipment costs tens of thousands of US dollars while our expenses have been minimal (in the case of RMMA). Certainly, you won't receive passport data the same way, but one can be quite able to check the announced figures. Thus, we had the same picture with LynxTwo and the difference between passport parameters was about 1 percent. The test also enables to reveal if there are any quality problems in different modes. Audio transfer speed (software): 4.098 Mb/sec. Why should one have an increased converter quality? And is there a sensible limit for the characteristics that is useless to exceed? The questions are rather difficult. First, modern professional work with sound implies multiple prossesing and mixing operations and results in a quality degradation and a reamplification of recording artefacts. So, the clearer the source is, the higher the useful component will be. Modern converters didn't go far from 16 bits in terms of quality and only reached the dynamic range of 20 bits (120 dB). Second, it is only a sinusoidal test signal of an extremely wide amplitude that can give high characteristics. A real signal shows more prosaic results and allows no great reserve. Third, professional work implies differentiation of sound nuances at minor changes of effect parameters so that an optimal position can be found. And our experience tells us that good but not prominent converters hide those changes completely, and that can lead to overregulation and revelation of strong sound artefacts on high-quality equipment. And finally, the primary argument is that our ears can still tell the difference in converters' quality, and a subjective sound of different devices corresponds in general to their test characteristics. And that can be a quite objective (if not the main) parameter for your choice. For a subjective test of sound section quality, we used Event20/20bas studio monitors and sections from a Pioneer AX5i receiver and B&W 6s3 speakers. A Lynx Two soundcard was used as a reference device for comparison purposes. 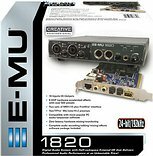 Frankly, E-MU 1820 sound differs little from Lynx Two, which marks the tested card against other semi-pro devices within the same price category. But it probably won't last long as other companies may come up with new devices based on modified converters. We had no problems in professional applications. Concerning Cubase SX2, the card worked perfectly at 44.1 kHz. 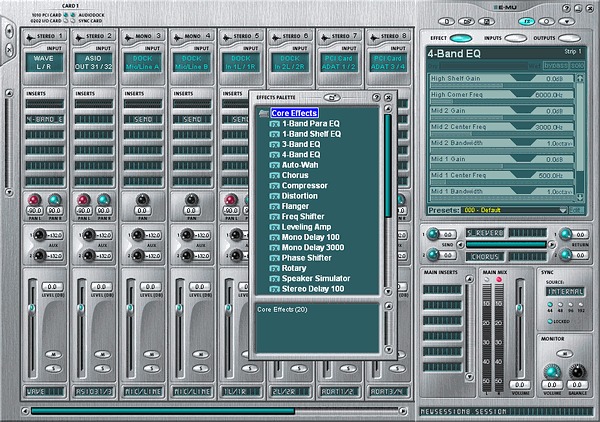 Multichanneling enables to use the card for mixing 5.1 and even 7.1 tracks. The card indicates Creative's serious and quite successful effort to enter the moderate-price category of the professional market and thus oust other companies that still hesitate to refer their products to professional or multimedia ones. Creative's and E-MU's engineers have done a good job and come up with a truly professional product that has nothing in common with Creative game cards, including the area of application. The E-MU Digital Audio Systems family is represented by three models: 1212M, 1820, 1820M. 1212M can be called the best one in terms of the price/quality ratio. Its converters' quality is really high. a very flexible system of signal routing. 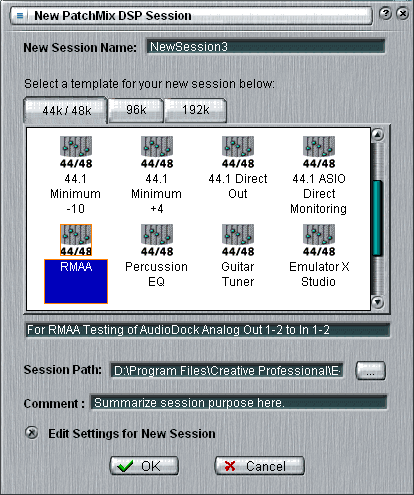 no support of 96 and 192 kHz under the MME interface (used in some professional aplications).